Yesterday, US international and former Leeds and Stevenage player, Robbie Rogers, posted an emotional blog post in which he declared he was gay and intended to retire from football. 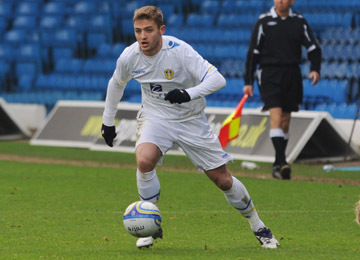 Robbie Rogers in one of his rare Leeds United appearances. It marked another chapter in the very slow-moving history of homosexuality in football, but Rogers’s announcement has left more questions unanswered than answered. Should football be proud of Rogers’ ability to come out, or ashamed he had to wait until he was 25 and retired before revealing his secret? Rogers is the first professional footballer to come out in Britain since Justin Fashanu in 1990. Like Rogers, Fashanu’s football career was stagnating by the time he revealed to the Sun he was world’s first openly-gay footballer, but his announcement caused a storm even he couldn’t have expected. Fashanu found himself excluded and alienated by his teammates, fans and even members of his own family. Clubs refused to hire him and he dropped further and further down the football ladder. In 1998, after accusations of a sexual assault against a 17-year-old man in the States, Fashanu flew back to London where he was found hanged in an abandoned garage. Remembering Justin Fashanu’s tragic story, it’s not difficult to see why footballers fear coming out. Rogers’s early-morning blog post makes him just the second ever British-based openly-gay footballer. There have long been calls for a brave player to make the big step forward and reveal they were gay but will Rogers’ announcement satisfy those calls, and has Rogers actually done anything to help any footballers who feel scared to reveal their sexuality? Without wishing to disrespect Rogers, many would have hoped for a player with a higher profile to come out. In his homeland he is reasonably well-known among football fans, but on this side of the Atlantic, it’s unlikely anybody would have heard of Rogers unless they supported either Leeds or Stevenage. In the handful of games he actually played for Leeds (one start and three substitute appearances) and Stevenage (five matches) he looked pretty unremarkable, and his time in English football was hampered by injuries. Even though he has played Olympic football and won 18 caps for the US, he could hardly be considered anything more than an average footballer. He is unattached after his Leeds contract was terminated in January, and his sporting career looked to be directionless after a disappointing stint in England. It’s fair to say he wasn’t the high-profile name equal-rights campaigners were hoping for. Far more worrying than his low profile is the fact he had to retire from the game, aged 25, before he felt he could disclose his secret. The news of his retirement took up just a paragraph in his blog post, and his reasons for quitting the game are very unclear. Even though he doesn’t say his sexuality had anything to do with his decision to retire, he clearly implies he was not comfortable revealing his sexuality while playing. Rogers’s retirement suggests footballers still believe the sport is too backwards to accept homosexuality. But there’s no doubt Rogers coming out will make it easier for other gay footballers to follow suit in future. Reassuringly, following his announcement, Rogers’s twitter feed was flooded with supportive messages from players, fans and friends from outside football. Leeds United forums were full of well-wishing messages, which far out-weighted the tiny, homophobic minority. Rogers has proved football has moved on. The nature of his announcement shows there is still work to do to make it easier for footballers to come out. But the reaction of the football world shows British football has moved on from the shameful days of Justin Fashanu, and is now in a position where it can accept homosexuality. Rogers has laid the foundation for more gay footballers to reveal their sexuality, should they wish to do so. This entry was posted in Football, League 1, The Championship and tagged america, american, blog, come out, Fashanu, football, gay, homophobia in football, homophobic, homosexual, Leeds, Leeds United, retire, Robbie Rogers, Rogers, Stevenage, twitter, USA on February 16, 2013 by gutollewelyn. Do the owners of Forest and Rovers know what they’re doing? This week saw two controversial managerial sackings in the Championship which have raised questions about the way Blackburn Rovers and Nottingham Forest are being run. Sean O’Driscoll, who was appointed as Nottingham Forest manager in the summer, was shown the door on Wednesday just a few hours after his team spectacularly beat Leeds 4-2. The Al-Hasawi family, who run the club, had insisted they would give the former Doncaster manager time, but with Forest a point outside the play-off spots, they changed their minds. Meanwhile, in Lancashire, Blackburn’s owners once again displayed questionable judgement, sacking manager, Henning Berg, after just 57 days in charge. This despite giving the deeply unpopular Steve Kean two protest-filled years at the Ewood Park helm before forcing him out earlier this season. Both Forest and Rovers are owned by vastly wealthy people, with no previous experience in football prior to their investments. And fans at both clubs are wondering, do they really know what they’re doing? Sean O’Driscoll’s sacking was met with widespread astonishment. Forest were playing entertaining football, just a point outside the play-offs, and though they hadn’t set the world alight, there were promising signs. O’Driscoll, who had gained an army of admirers for achieving success on a budget with a stylish but unfashionable Doncaster side, was brought in with the aim of building a side in his image. He stuck to his beliefs at Forest and looked set to challenge for a spot in the top six. But halfway through his first season, after one of the most impressive performances of his time in charge, he was shown the door by the club’s Kuwaiti owners. Forest fans were left decidedly bemused by the sacking, and the vast majority opposed O’Driscoll’s departure. Fans claimed they could see a project in motion and a team being built inkeeping with the ideals and values of the club. But one of the most worrying aspects of this case is O’Driscoll’s replacement. O’Driscoll’s seat was still warm when it was announced Alex McLeish would be replacing him. The Scotsman’s a controversial choice at a club which has always been associated with beautiful football. McLeish’s teams have tended to play an unattractive, but largely effective, long-ball style of football. Not only does McLeish’s style not fit perfectly with Forest’s historic image, on the face of it at least, his direct style doesn’t fit in with the current setup. O’Driscoll had a side which was familiar with playing patient, passing football. Are the players capable of adapting to McLeish’s more physical, negative style? McLeish will undoubtedly be given substantial funds in the January transfer window, and he can use it to bring in players who will understand his system. But fans are worried McLeish’s appointment could go badly wrong for the club. McLeish could take Nottingham Forest up this season, after all, he won promotion with Birmingham City in 2009. But Big Eck’s image and his football doesn’t fit in easily with that of Nottingham Forest. The fact the Al-Hasawi family have dismissed a football purist like O’Driscoll, in favour of McLeish, shows a basic lack of understanding of the club’s culture. It’s always worrying when wealthy owners begin running the club without consideration for the club’s culture and the fans’ interests. In 1931, Mahatma Gandhi visited Darwen, near Blackburn, to meet unemployed mill workers who were angry because cheap Indian cotton was undercutting their produce. The people of East Lancashire fell in love with the skinny Indian, and since then there has always been a spiritual bond between Lancashire and the subcontinent. That was until Venky’s purchased Blackburn Rovers and started running the club in the most chaotic way imaginable. Since taking over, the owners have repeatedly broken audacious transfer promises and consistently angered the fans with outrageous decisions. Last season’s fan protests against manager, Steve Kean, were particularly venomous, but the owners continued to back the Glaswegian. Even though Blackburn were shamefully relegated from the Premier League, Kean remained in charge for the start of the Championship, but with Rovers 3rd after eight games, Kean was bizarrely forced out. The club then spent a whole month looking for a replacement before opting for former player, Henning Berg. The Norwegian had previously been critical of the club’s ownership, but he accepted the job, claiming he’d been convinced they had a plan for the club. It’s unlikely the plan involved sacking Berg after 57 days in charge, but that’s just what Venky’s have done. Incredibly, after defying the fans and keeping the hapless Steve Kean for nearly two years, his replacement couldn’t manage two months. Admittedly the Berg era has been a joke from start to finish; the football’s been dreadfully low-tempo, he’s only won once and Rovers have rapidly slipped down the table. Uninspiring Blackburn now find themselves 17th in the Championship and dropping towards the drop zone. The Berg experiment will undoubtedly be viewed as a disaster, and another depressing chapter in the recent history of Blackburn Rovers. The fact Berg only lasted 57 days suggests those running the club didn’t know enough about him when they appointed him, but scarier still, it suggests they have no structured plan for their football club. Fans have constantly criticised the owners for neglecting the club and allowing it to rot, and their recent activity is a further cause for supporter concern. Kevin MacDonald will be caretaker manager at Ewood Park until the end of the season. While he is highly respected within the game, and his record as a coach stands up to scrutiny, the appointment of a caretaker for the entire second half of the season (seemingly Roman Abramovich’s invention) stinks of laziness on the part of the owners. While Forest fans await the beginning of the McLeish era with cautious intrigue, Blackburn fans are simply dreading the next few months, hoping they can evade the drop. The recent sackings at Forest and Blackburn are cause for concern because on the face of it they show a lack of long-term planning, and a poor understanding of the sport by the respective owners. This entry was posted in Football, The Championship and tagged Al-Hawasi, Alex McLeish, Berg, blackburn, Blackburn Rovers, brazil, Championship, controversial, Darwen, football, forest, Gandhi, Henning Berg, hoofball, Kevin MacDonald, Lancashire, Latino, long ball, McLeish, Norway, Norwegian, Nottingham, Nottingham Forest, sacked, sacking, Sean O'Driscoll, shambles, Shebby Singh, soccer, Steve Kean, ugly, Venckys, Villa on December 29, 2012 by gutollewelyn. Halfway through the season and League 1’s seen a bit of everything; sackings, scandals and financial troubles, and that’s just what’s gone on off the field. Sheffield United – A- – Recovering from last season’s agonising play-off final penalty defeat was always going to be tough. United will be content with the way their season has gone so far. Danny Wilson’s team are extremely difficult to beat, with only two league defeats so far. Man City are the only club in the top four tiers of English football with fewer losses. But United’s lack of firepower has held them back; before this weekend they were the lowest scorers in the top 10 and seven of their eleven victories have been by a single goal, which is very unusual for a team top of the league. Nick Blackman has nine goals in the league, but United’s second highest scorer is centre-back, Neil Collins, with four goals. The Blades have been great at grinding out results, but they don’t look as strong as the team which narrowly missed out on promotion last term. Tranmere – A+ – Tranmere’s form this season has surprised everybody, including manager, Ronnie Moore. Whenever Moore gets interviewed these days he keeps emphasising how stunned he is to be top of the league. The Merseysiders didn’t lose any of their first twelve games, and looked to be racing away with the league. They are the league’s top-scorers with 38 goals, and the goals have been shared with Jake Cassidy, Andy Robinson and Jean-Louis Akpa-Akpro all netting regularly. But they’re currently suffering their first blip of the season, which includes Friday’s shocking 5-0 defeat against Swindon. How they react will go a long way to determining where they’ll finish this season. Brentford – A – Uwe Rösler’s side are the form team in League 1 going into the second half of the season. After a steady but unspectacular start to the season, the Bees burst into life in late October as they embarked on a nine match unbeaten run, which includes seven wins. In recent weeks they’ve recorded extremely impressive victories against Sheffield United and the MK Dons. Strategically and organisationally, Brentford have been the best team in the division this season, but their success has been helped by the goals of Clayton Donaldson. The big striker, nicknamed Donaldinho, is the league’s second highest scorer. The Londoners are on a roll and are aiming for promotion to the second tier for the first time in over two decades. Doncaster – B – Dean Saunders has rebuilt the team after relegation, and the Yorkshiremen continue to play an aesthetically pleasing style of football. The star of the show has been David Cotterill, who’s been banging in the goals from midfield, and looks to have regained his confidence after some tumultuous times. Doncaster have more wins than any other team in League 1 and they have been very exciting to watch. However there’s still room for improvement. They remain on the lookout for a goal-poaching striker to take some of the pressure off Cotterill, and there have been some very unconvincing performances in the midst of all the great football. Automatic promotion is the aim, but a play-off spot would be a fine achievement. Swindon – A- – Last year’s League 2 champions were expected to have a huge impact on League 1, and though they’ve been inconsistent, they’ve proved they have the quality to challenge at the top end of the table. With Paolo Di Canio as manager things were never going to be boring, and there’s been plenty of excitement at Swindon games. They’ve scored 37 goals and conceded just 18, but when they concede first they tend to lose; they’ve picked up just two points from losing positions this season. Matt Richie has continued his brilliant form from last term and he’s already netted nine goals this season. The magnificent 5-0 victory against Tranmere suggests Swindon could still challenge for an automatic spot if they develop a bit more consistency, although if they get a play-off spot nobody will want to face Di Canio’s side and their beautiful football. MK Dons – B – It’s been a strange season for MK Dons fans. They’ve been used to seeing their side score freely and concede regularly in recent years, but this season the Dons have tightened things at the back at the expense of their attacking fervour. The Dons have been wasteful in front of goal at times, but perhaps that’s changing as we enter 2013. Along with every other club currently in the play-off spots, the Dons lack a top goal-scorer, and this is keeping them outside the top two. Karl Robinson’s team play some of the most beautiful football in the league, but in recent years they’ve lacked the killer instinct required to take them up. It remains to be seen if that’s changed this year, and although the Dons look a good bet for a play-off spot once again in May, they must be aiming for a top two finish. Stevenage – B – After a blistering start to the season, Gary Smith’s side have lost their way slightly and have won just one game (against lowly Hartlepool) in their last six. They began the season with an incredible 11 match unbeaten run and it appeared as though the Boro were going to seriously challenge for an automatic promotion spot. Stevenage were unable to challenge healthily in last season’s play-offs because the squad was too small and tiredness had taken over, and this season the small squad once again looks to be having an adverse effect on their promotion push. Stevenage could do with a potent goal-scorer; Robin Shroot is an amiable, impactful forward, who will score a fair few goals over the course of the season, but a natural goal-scorer would go a long way towards securing another play-off for Stevenage. The aim for the season is to get back in the play-offs, but competition is fierce. Notts County – C+ – After narrowly missing out on 6th place last season, County were expected to make a strong push for promotion this year. But after a positive start to the season the Magpies have found wins hard to come by, with only four league victories since September. County, like so many clubs in League 1, are in need of a goal-scorer who can turn draws into wins. Keith Curle’s team are resilient and difficult to beat, but four draws in their last six games highlights County’s frustrations this season. Notts County have the makings of a good side, and at times’s they’ve looked like genuine play-off contenders, but a lack of cutting edge could cost them a place in the top 6. Bournemouth – C+ – Bournemouth’s turnaround from relegation battlers to play-off challengers has been astounding to say the least, and it’s down to one man: Eddie Howe. When he returned to Bournemouth for his second stint as manager in October, the Cherries were in the bottom four having won just once in their first eleven league games. However since Howe’s arrival Bournemouth haven’t lost a game and they’ve shot up the league with 27 points from a possible 33. Howe never settled at Burnley, and it’s clear he belongs on the south coast. He understands the club and knows how to succeed at Dean Court. Former Rotherham striker Lewis Grabban has flourished under Howe, and Bournemouth look like very good candidates for the play-offs, now that the club’s regained its confidence. Crawley – B- – It’s fair to say Crawley expected more from this season. They won promotion convincingly last season, but a transitional summer was poor preparation and they’re now suffering as a result. The promising start to the season under Richie Barker now seems a long time ago; the Red Devils have won once in the last nine games, and they’ve steadily drifted down the table. If they are to mount a serious play-off push, they need to start winning again quickly, before their downward slide goes too far. Crawley will have no problem staying up, which is every promoted club’s first priority, but sights were set a little higher. Crawley’s best player so far this season has been Hope Akpan, whose physical performances in midfield have been highly impressive. Unfortunately his indiscipline has resulted in several suspensions, which doesn’t help the Crawley cause. Yeovil – C+ – The Glovers began the campaign spectacularly; winning three and drawing one of their first four games. Then they lost six games in a row, sparking fears of another season fighting relegation. Since then they’ve been on a run of inconsistency, struggling to build any kind of momentum. They have no problems scoring goals, but at the other end they’ve been porous; they have the worst defensive record in the top 16. Yeovil will be happy if they avoid getting dragged into the relegation dogfight this season, and a mid-table finish would represent progress for one of the smallest clubs in the division. They’re far too inconsistent to challenge for a play-off spot this season. Crewe – A- – Crewe were a joy to watch last season as their late surge took them up via the play-offs. But their joy was short-lived as they lost two of their top performers, Nick Powell and Ashley Westwood, to Man Utd and Aston Villa respectively. Unsurprisingly they were hot favourites for relegation, but they’ve defied the odds and look set to stay up comfortably. The signing of striker Mathias Pogba (brother of Juventus’ Paul Pogba) from Wrexham has been a good one and the team play an attractive, but sturdy style of football. There’s a brilliant team ethic at Crewe and manager Steve Davis deserves a huge amount of credit for the job he’s done. It’s doubtful they’ll be able to challenge for a play-off spot, having said that they enter the second half of the season in great form with just one defeat in their last seven games. They’ve done brilliantly. Coventry – C- – Coventry fans must have thought things couldn’t get worse after their relegation from the Championship last season. But this is Coventry, and for the Sky Blues trouble always seems to be around the corner. Andy Thorne was sacked as manager just three games into the season, and Coventry went on a run of five consecutive losses before their first win of the season against Oldham on September 29. However since then, new manager Mark Robins has slowly but surely turned things around, and Coventry have now only lost once in their last nine games. With the team hitting form, and League 1 top scorer David McGoldrick (15 goals so far) continuing to impress, Coventry could compete for a play-off spot. Unfortunately off-field problems continue to cast a shadow over any on-field success. The club’s owners aren’t able to pay the hefty rent for the Ricoh Arena, and they could be forced to look elsewhere for a home ground, with non-league Hinckley United’s 4,329-capacity Greene King Stadium seen as a genuine possibility. Leyton Orient – C – An up and down season for Orient so far, where losing runs have quickly turned into winning runs, and feast has quickly turned to famine. Orient fans really have no idea whether they’re in a relegation fight or whether they have an outside chance of getting a play-off spot. Amazingly, Leyton Orient have only drawn one game this season, against Crewe in September. The Londoners have 10 wins and 11 losses so far, making them one of the league’s most unpredictable (and exciting) sides. Kevin Lisbie continues to roll back the years, but his team-mates aren’t contributing enough goals. Orient have only netted 25 goals so far this season, although in recent games they’ve been scoring far more regularly. The tendency this season is that when Orient score, they win. They’ve only lost twice when they’ve scored this term. Preston – D+ – Graham Westley still hasn’t settled at Preston and the play-offs look an unlikely proposition by now. Westley made wholesale changes to the playing staff in the summer, but that’s resulted in the team looking dysfunctional and awkward. The style of football has been criticised by fans who want to see less of a long-ball game from their team. The Lilywhites lack a potent goalscorer, and they struggle to win games. Preston are winless in their last six games and only Sheffield United have drawn more games than the Lancashire club this season. It’s tough to see Preston go down this season, but it’s even tougher imagining them snatching a spot in the top 6. Things aren’t clicking at Deepdale and fans are frustrated. Attendances are regularly less than 10,000 and there’s an air of negativity surrounding the club. Oldham – C- – It’s another frustratingly low-scoring season for Oldham as they’ve averaged just a goal a game in their first 23 games. Paul Dickov was a tenacious striker in his playing days, but the Scot just can’t get his strikers to score, and were it not for the brilliant José Baxter, Oldham would be in severe trouble. The former Everton youngster has excelled in the Latics midfield, and he’s shown Premier League class on a regular basis, netting eight goals in the process. But Baxter’s only one player and Oldham sit just five points above the relegation zone. They’re once again scrapping for safety and with little money to spend in January, Dickov may have to make do with what he’s got. It’s going to be a long second half of the season for Oldham fans, who’ll be praying Baxter stays fit. Walsall – C – The Saddlers started the season brightly and they were 4th as recently as October. But a dramatic collapse in their form has seen them plummet down the table. Their win against Colchester on Saturday was their first in 13 games, and a vital three points for the Midlanders. Manager Dean Smith has tried to get his team playing a more aesthetically pleasing brand of football, but unfortunately the players at his disposal probably aren’t good enough to play the style he demands. Apart from Carlisle, Walsall have conceded more than any other team outside the relegation zone, and with goals in short supply, it’s a worrying statistic. Walsall have defied the odds and miraculously stayed up for the past few seasons, and they’re hoping the win against Colchester can inspire them to do likewise in May. Shrewsbury – C- – I expected more from Shrewsbury this season and I didn’t expect to see them so close to the bottom four. The Shrews were promoted last season thanks mostly to their brilliant home form, and it’s their results at New Meadow which keep them outside the drop zone this season. All 5 wins have come at home, while they’re yet to win on their travels. The team has changed little since last season, and perhaps Graham Turner should have bought more players who had experience of League 1 football. Marvin Morgan can be a real handful on his day, but he’s not consistent enough for Town. If he can get on a good scoring run, it would make a huge difference to where they finish. Safety would represent a good season for Shrewsbury after spending 15 years outside League 1. Turner has a united dressing room, with some good footballers, and I expect them to dodge the drop. Colchester – D- – It’s been a bitterly disappointing first half of the season at Cuckoo Farm. John Ward was dismissed after failing to win any of the first eight games of the season. His assistant Joe Dunne has been in charge since then, and initially the appointment appeared to have galvanised the squad, with Colchester winning five out of their next six games to climb into the top half. But The Us have only won once since October and they’ve lost the other seven games, including a 5-1 hammering at Stadium MK. Their morale-crushing defeat against Walsall in the last game emphasised the extent of Colchester’s woes. They sit just two points and two places above 22nd placed Portsmouth. Their main problem is up front, where the strikers have found scoring difficult. Jabo Ibehre has four goals so far and Ian Henderson has three, and Colchester average just a goal a game, which is always cause for concern. Colchester are in a bad way, and if things don’t improve they could very well be heading back to League 2 after eight years away. Carlisle – D- – Greg Abbott’s side are in deep trouble, and they could easily go down this year. Last season Carlisle finished a very respectable 8th, but the sale of star player Francois Zoko to Notts County meant a repeat this time round was unlikely. But there’s no way they could have predicted such a difficult season. It was the Cumbrians’ dreadful defence which cost them a play-off spot last season, but this year Carlisle have been chronic at the back. They have the worst defensive record in the league and have kept just one clean sheet in their first 22 games. United’s back four have been truly diabolical, but they’ve received little protection from the midfield. The defensive catastrophe puts a lot of pressure on forwards to counterbalance. 28 goals is a decent return for a team fighting relegation, but when the defence is so poor, there’s only so much the forwards can do. Carlisle will go down if Abbott can’t solve the defensive crisis. Portsmouth – E- – It’s never dull at Fratton Park, and this season possibly been the craziest so far in Portsmouth’s fight for stability. After relegation from the Championship the entire professional playing staff was forced out of the club in order to keep Portsmouth FC in business. Since then Pompey have relied on academy products, short term contracts and loans from other clubs. At first the team struggled to adapt, but towards the end of September Michael Appleton got his team to function. But Appleton, fatigued by off-field matters interfering with his coaching, left Portsmouth in November to take over at Championship Blackpool. Caretaker boss, Guy Wittingham, is still waiting for a first win in charge, but the club seems doomed to another relegation. They remain in administration and a 10 point deduction seems inevitable at some point in the season. Though good players such as Scott Allen, Ákos Buzsáky, Gyepes Gábor and Luke Rodgers have represented the club this season, and Izale McLeod has netted 10 times in the league already, the team doesn’t look unified. Portsmouth’s fans are taking control of the club’s finances, and it’s the club’s existence which matters most to them at the moment. On the field, relegation appears to be unavoidable. Bury – D- – Losing manager, Richie Barker, to Crawley shortly before the first game of the season was a bitter blow and it momentarily sent the Gigg Lane club into turmoil. Former Leeds and Sheffield United manager, Kevin Blackwell, took over from caretaker manager, Peter Shirtliff, eight winless games into the season. It wasn’t until October 23 that the Shakers recorded their first victory, with goals from Tom Hooper and David Worrall enough to defeat Hartlepool. They followed up this result with three wins in five games. They haven’t won yet in December but hope has been restored after a dreadful start. Steven Schumacher is still the leader of the team and an important influence as Bury try to drag themselves out of the mire. There are some very poor sides at the foot of the table, and Bury are by no means doomed. Scunthorpe – E – After a disappointing season last year, the Iron were hoping for a much stronger campaign from Alan Knill’s boys. What they got was a dreadful set of results and a managerial change. Four straight defeats at the start of the season set alarm bells ringing and although Scunthorpe recorded two wins and two draws in their next four games, the poor form soon returned and Alan Knill was sacked with the club third from bottom. Former manager, Brian Laws, took over and when he won his first two games, it appeared as though everything would better from then on. But since then, Scunthorpe have lost three games, including a damaging defeat against relegation rivals Bury. The 1-3 victory at Leyton Orient on December 15 gives Scunthorpe slight cause for optimism, but it still looks like being a very tough season. They’ve only taken six points at Glanford Park this season, and only Carlisle have conceded more goals in the division. Brian Laws has a tough job on his hands. Hartlepool – F- – Nightmares don’t get any worse than the one Hartlepool are suffering at the moment. With just one win and nine points in their first 22 games, the Monkey Hangers must already be preparing for life in League 2. Neale Cooper lost his job towards the end of October with the club rooted to the foot of the table. His replacement was John Hughes, who has improved the style of play at Hartlepool, but if anything the results have worsened. Hughes has picked up a solitary point since his arrival; a 1-1 away at Walsall. Hartlepool have by far the worst squad in the division, with a porous defence and strikers who can’t seem to score. 15 goals in 22 games is an appalling record by anybody’s standards, and they’ve only kept two clean sheets all season. As things stand the Pools don’t look confident or spirited enough to win games. They’re almost guaranteed to go down, and they’re doing it embarrassingly. This entry was posted in Football, League 1 and tagged administration, Bournemouth, brazil, Brentford, Bury, Carlisle, christmas, Colchester, Coventry, Crawley, Crewe, Doncaster, financial, football, Hartlepool, League 1, Leyton Orient, liquidation, manager, MK Dons, money, new year, Notts County, odds, Oldham, Pompey, Portsmouth, Preston, promotion, relegation, sacked, Scunthorpe, Sheffield United, Shrewsbury, soccer, Stevenage, Tranmere, transfer, Walsall, Yeovil on December 24, 2012 by gutollewelyn. John Ward is the latest manager appointed with the goal of getting Bristol Rovers back on track after some disappointing campaigns. Mark McGhee lasted less than a year at the helm before he was dismissed with the Pirates in the League 2 relegation zone having lost eight out of their last ten games. The dismal 4-1 home defeat against York on Saturday was the final straw for chairman, Nick Higgs, who sacked McGhee, claiming he had to do so before it was too late. Everybody associated with the club is fully aware of the seriousness of their current predicament. Rovers have been in the Football League for 92 years, but 18 points from 22 games means they face a fight to stay up. A closer look at the club’s fortunes in recent years shows the problems at Rovers are deep-rooted. The current poor form is simply the latest stage in a two and a half year malaise which has existed since Paul Trollope’s time in charge. Trollope is the most successful manager in the club’s recent history, and his five years at the helm are remembered fondly by fans. Under Trollope the Bristolians won promotion to League 1 via the play-offs, had some very respectable seasons in the third tier and performed well in cup competitions. Unfortunately the party came to an end with a poor start to the 2010-11 season and ten days before Christmas 2010, Trollope was relieved of his duties. The aim was to ensure a continuation of League 1 football at the Memorial Stadium, however the second half of the season was chaotic. Former Doncaster manager, Dave Penny, lasted just two disastrous months before being given the boot. Club legend and former captain, Stuart Campbell, was made player-manager for the remainder of the season but he too was unable to alter the Pirates’ poor form and the club was relegated after four seasons in League 1. It had been a catastrophic season but Rovers were eager to put it behind them and achieve promotion back to the third tier at the first attempt. Paul Buckle, who had led Torquay to the League 2 play-off final just a few days earlier, acrimoniously left his post in Devon to join Rovers. The young Buckle was widely seen as a great appointment and the perfect man to transform spirits at Rovers. Unfortunately Buckle failed to settle at the Memorial Stadium and by January 2012 he too was deemed surplus to requirement, with the club hovering above the League 2 relegation zone and playing miserably. Mark McGhee kept Rovers up last season and had a positive effect on results but this was just a short respite for the Gasheads. This season has been woeful for Rovers, beginning with a seven match winless streak, and they now sit 23rd with the leakiest defence in the division. The Pirates’ top players haven’t performed this season and McGhee admitted himself, performances have been embarrassing. John Ward takes over a club which is in gradual, but substantial decline, and his first job is inspiring not only the players but also the fans. This is Ward’s second stint in charge of Rovers, but the club has changed considerably since he left in 1996. Some Rovers fans are sceptical of Ward, with concerns raised he may not be the right man to turn things around. But Ward has a wealth of experience in the lower leagues and he has performed well at Cheltenham, Carlisle and Colchester. Ward is a likable personality and a good motivator, and Rovers hope he can put these skills to good use and get Rovers out of the drop zone. It’s a tough task but Ward has some talented players at his disposal who are capable of dragging the team up the league. With other clubs above them like AFC Wimbledon struggling, and matches against fellow strugglers Aldershot and Plymouth over the Christmas period, there’s no reason why Rovers can’t quickly climb up the league under Ward. This entry was posted in Football, League 2 and tagged Aldershot, Bristol, Bristol City, bristol rovers, Buckle, Carlisle, Cheltenham, Colchester, football, gas, gasheads, Higgs, john ward, League 2, malaise, manager, McGhee, Memorial Stadium, new manager, pirates, Plymouth, rovers, sack, sacked, terrible, Trollope, useless, West Country, Wimbledon, York on December 18, 2012 by gutollewelyn. Dave Jones: Should he stay or should he go? Sheffield Wednesday are second from bottom in the Championship, they’ve lost their last seven games and on Saturday they lost to fellow relegation-batters Bristol City. Manager, Dave Jones, is under severe pressure, with fans questioning both his ability to inspire his team and his tactical nous. Jones led the Owls to automatic promotion from League 1 last season, and has years of experience in the Championship with Wolves and Cardiff, but is he the man to lead Wednesday to safety? Jones was appointed in March with Wednesday 3rd in the League 1 table and fresh from a morale-boosting victory against Steel City rivals Sheffield United. He led the team to promotion, leapfrogging United in the process, and Wednesday looked set for a fresh start in the Championship. In August everything looked rosy for the Owls; they were unbeaten in the opening month of the season, winning two and drawing one. Few people were tipping Wednesday for the drop, and nobody could have predicted the abysmal run of results which would follow. Wednesday had substantially boosted their squad in the summer, acquiring the services of full-back Joe Mattock, experienced centre-back Anthony Gardner and striker Jay Bothroyd, who excelled under Jones at Cardiff. They also bought Michail Antonio, who shined on loan from Reading the previous season, and borrowed highly-rated youngster Ross Barkley from Everton. There were also exotic-sounding transfers, such as Slovenian international Nejc Pecnik and the loan of Rodri from Barcelona B. It seemed Sheffield Wednesday were all set for an enjoyable season back in the second tier of English football, but things turned sour very quickly. After their unbeaten August Wednesday went on a miserable nine match winless run. They then won two games in a row against relegation rivals Ipswich and Peterborough and the Hillsborough club seemed ready to turn their season around. Alas they’ve lost all their games since beating Peterborough 2-1 on November 3, and have slowly slipped down the table. The defeat at home to Bristol City will hurt for a number of reasons. Two of City’s goals were penalties, cheaply conceded through nervous defending by players who had just netted for Wednesday. Another painful aspect of this defeat is that Wednesday looked to be in control of the game, leading 2-1 with five minutes remaining, only for a Baldock penalty and a superb Adomah free-kick to steal the points at the death. Wednesday’s misery was compounded when a late Wednesday goal was disallowed because defender Miguel Llera had grabbed the referee to complain about a decision he’d made, forcing the ref to halt play just before Gary Madine scored. Of course this latest loss is especially painful because it was against a Bristol City team, below them at the start of play, who had themselves been on a poor run of form. The Robins, who revealed in midweek the appalling financial state of the club (record losses of £14.4m for the year ending May 2012), are now three points ahead of the Owls and outside the relegation zone. Saturday’s soul-crushing defeat is the low-point in a disappointing season for Wednesday, and it’s piled the pressure on Dave Jones. Jones is probably one of the most mysterious characters in the Football League. He’s an extremely proud man, and somebody who resents criticism or questioning. This has damaged his relationship with the press, and to a lesser extent, with fans in recent years. He can appear dour, negative and stubborn, and this is a defence mechanism that rarely works in his favour when under pressure. His stubbornness has been misread as arrogance in the past when in fact it’s usually a sign of insecurity. Jones’s record suggests he’s a manager who struggles under pressure. He led Wolves to promotion via the play-offs when they were second favourites against a Sheffield United team which had reached the semi-finals of both the FA and League Cup that season. However in the Premier League Wolves struggled to adapt and finished bottom. At Cardiff he reached the 2008 FA Cup final against the odds, but consistently failed to get promoted despite buying many high-profile players. Year after year the Bluebirds would get into promising positions, only to crumble spectacularly under pressure when expectations were raised. At Sheffield Wednesday he took over a team which was not expected to finish in the top two, but had more or less secured a play-off spot. With expectations and pressure low he managed to rally his team and they overtook Sheffield United to finish 3rd. Now though, with Wednesday struggling in the bottom three, Jones is once again under immense pressure, and supporters have been critical of his decision-making. Last week Mark Beevers was allowed to sign for Millwall, where he’s been outstanding in defence while on loan from Wednesday. He was sold despite the fact Wednesday are shipping goals at an alarming rate and haven’t kept a clean sheet since October. Confidence is in short supply at Wednesday and the players look dejected. There are some good footballers at the club but nobody knows when the losing run will end. The few fans who still believed in Dave Jones are slowly turning against him as the situation gets bleaker. Sadly, Dave Jones’s jittery, overly-defensive interview answers suggest his confidence levels are about as low as those of the players. The board has to decide whether or not they believe Dave Jones can inspire the players to turn things around. Unfortunately for the manager I suspect they’ll see what we all see; Jones isn’t the man to lead Wednesday to safety. This entry was posted in Football, The Championship and tagged angry, Beevers, Bristol, Bristol City, Cardiff, Cardiff City, dave, dave jones, davey jones, fans, football, history, jones, Llera, Madine, Mandaric, millwall, owls, pressure, promotion, relegated, relegation, robins, sack, sacked, Sheffield Wednesday, soccer, Southampton, stress, wednesday, wolves on December 9, 2012 by gutollewelyn. MK Dons vs AFC Wimbledon: Evil vs Good? The biggest match in Europe this weekend won’t take place in Old Trafford, the Camp Nou or San Siro; it will take place in Stadium MK where the Milton Keynes Dons face AFC Wimbledon for the first time in history. You read correctly, on a weekend when fixtures include Real Madrid vs Atlético Madrid, Bayern Munich vs Borussia Dortmund and Ajax vs PSV, the most important encounter is an FA Cup 2nd Round match between the MK Dons of League 1 and AFC Wimbledon of League 2. But before you close this tab, thinking I’m some kind of nut case, let me explain myself, and more importantly let me explain the significance of Sunday’s game. Rewind to the year 2000, when Wimbledon FC were struggling financially following relegation from the Premier League. They were ready to start their 10th season ground-sharing with Crystal Palace at Selhurst Park, 6.5 miles from their traditional home at Plough Lane, which they left in 1991 due to the club’s inability to fund its renovation. At this time Milton Keynes didn’t have a professional football club, despite having a population of nearly 200,000 people. Businessman Pete Winkleman wanted to change this and began the Milton Keynes Stadium Consortium, with the intention of building a state of the art arena to persuade a Football League club to move to the city. The only person enticed by the suggestion was Wimbledon’s new chairman, Charles Koppel, who saw it as a great way of relieving the club’s financial woes. Unsurprisingly Wimbledon’s fans were outraged by the suggestion and passionately protested against the move. At first the FA and the Football League both opposed the plan, calling it “franchising” and predicting a disastrous outcome should the move go ahead. However, after a lobbying campaign by Wimbledon’s board, an independent commission gave the plan the green light and in 2003 Wimbledon FC moved 60 miles to Milton Keynes. The club continued to use the name Wimbledon FC for a year until it was changed to the Milton Keynes Dons in 2004. The MK Dons were English football’s first ever franchise. Out of the ashes of Wimbledon FC a determined group of fans got together and formed AFC Wimbledon, with the long-term intention of achieving promotion back into the Football League. A lightning-fast climb up the amateur leagues culminated in promotion to League 2 in 2011. The success of AFC Wimbledon has gained the club huge plaudits and they’re particular a favourite of underdog-loving neutrals. Anger towards the MK Dons had inevitably eased over the years as AFC Wimbledon attempted to rebuild, but when the two clubs were drawn against each other for the 2nd Round of this year’s FA Cup old memories came flooding back. Most AFC Wimbledon fans didn’t want this fixture and still don’t feel enough time has passed since their club was stolen from them. Many AFC Wimbledon fans are still extremely bitter, not only about the move, but also about the Milton Keynes club’s conduct since 2003. Between 2003 and 2007 MK Dons Chairman Pete Winkleman had tried to pass off Wimbledon FC’s history as MK Dons’s history. This has not been forgotten by AFC Wimbledon’s fans despite Winkleman returning Wimbledon FC’s trophies and memorabilia to AFC Wimbledon in 2007. AFC Wimbledon fans are angry the Milton Keynes club is still calling itself “The Dons.” The old Wimbledon FC were nicknamed the Dons, as are the current AFC Wimbledon and fans claim the MK Dons have no right to use it. Many AFC Wimbledon fans are refusing to travel to Milton Keynes on Sunday because according to them the issue’s still far too sensitive and painful. What about the pantomime villain? The MK Dons are nearly a decade old and they’ve changed a great deal since the original controversy over their creation. The club has worked very hard to forge an identity and a history of its own. They have already won a League 2 title and a Johnstone’s Paint Trophy in their short history and their support base is growing year by year. The club is trying its best to shake off the nickname “Franchise FC” and by now the vast majority of football fans have accepted the MK Dons are here to stay. But despite the MK Dons’s superb attempts to establish its own identity, Sunday’s game against AFC Wimbledon is expected to trigger the same negative coverage the club received when it was first formed. The coverage will be damning because despite the football world’s acceptance of the MK Dons, fans are still wholeheartedly opposed to franchising. For most fans franchising remains the ultimate evil: a putrid concoction of commercialism and arrogance borne out of pure greed. Franchising is the American invention that goes against everything we as football fans believe in. It devalues supporters and shows complete disregard for their needs and emotions. It underestimates and takes for granted loyalty, the most important trait of any football supporter. When Wimbledon fans were robbed of their club it provoked universal revulsion among football fans across the World because we all empathised with them. We all imagined how we’d feel if the clubs we support were taken away from us. For most football fans life without our club is almost unthinkable but this was the reality for Wimbledon fans in 2003. It’s awfully tempting to look at Sunday’s game as a clash between footballing good and footballing evil; honest, loyal, traditional fans taking on a plastic, commercially-driven franchise. We once again find ourselves sympathising with Wimbledon fans and hating the MK Dons. But one of the main reasons Sunday’s game is so important is because it’s a chance to normalise the situation and give both sides a greater degree of closure. Both sets of fans knew this day had to come sometime and although Sunday’s sure to be an emotional, awkward and heated day, it will hopefully relieve a lot of tension. The first meeting of the MK Dons and AFC Wimbledon will draw a heap of attention but once the full-time whistle is blown all football fans can begin to move on. After Sunday’s game all future encounters between these sides will seem far more normal. Many fans on both sides won’t look forward to Sunday but everyone knows the game’s an essential step in the development of both clubs. From Sunday onwards we can stop viewing the MK Dons as the franchise which stole Wimbledon FC, and begin to see them as a club in their own right. Likewise we’ll be able to see AFC Wimbledon as more than just an antidote to the MK Dons. On the field I can only see one result. The MK Dons are hitting form at a good time in the season and they’re playing a sophisticated style of football which I expect will lead them to promotion. AFC Wimbledon on the other hand are entrenched in a relegation battle and struggling for confidence. But in many ways what happens on the field on Sunday is irrelevant. The important thing is that AFC Wimbledon fans get a degree of closure from the match and the MK Dons use the landmark event to move on and leave the past behind. This entry was posted in FA Cup, Football, League 1, League 2 and tagged AFC Wimbledon, derby, Dons, FA, FA Cup, fans, football, Football League, Franchise, Franchising, Milton Keynes, MK Dons, Protest, rivalry, Stadium MK, supporters, Wimbledon, Wimbledon FC, Winkleman, Wombles on November 29, 2012 by gutollewelyn. How did Millwall get there? Millwall are one of the shocks of the seasons so far; Kenny Jackett’s unfashionable team travel to Wolves tonight sitting 6th in the Championship and top of the form table, but the question is can they sustain their current form? The Lions are roaring this season and causing the odd shock. Millwall were as usual one of the pre-season favourites for the drop despite finishing a very respectable 16th in the Championship last season. The club looked to be set for another season in the bottom half of the table when they lost five of their first seven league games. However Millwall are unbeaten since their home loss against Brighton and Hove Albion on September 22 and they’ve won five of their last six games. Millwall’s current 11-match unbeaten run is the longest they’ve gone without defeat since gaining promotion in 2010. The Lions’s turnaround is largely down to shrewd business by Jackett in the loan market. First Mark Beevers was borrowed from Sheffield Wednesday. The 22-year-old was frustrated with life on the bench at Hillsborough so he went on loan to the Lions and has formed a watertight central-defensive partnership with veteran vice-captain, Danny Shittu. Prior to Beevers’s arrival the Lions had failed to keep a clean sheet in the league but Millwall have now only conceded two goals in their last six games. Beevers has added composure and confidence to the Millwall back 4 and he compliments Shittu brilliantly. On November 1 Adam Smith was loaned to Millwall from Spurs in order for him to get more first team experience. Smith has shown himself to be a very capable right-back; defensively solid and an effective attacker. Arguably the key addition was New Zealand international Chris Wood, who has scored seven goals in his last seven games. The on-loan Wes Brom striker has added potency to a Millwall’s functionality, with his height causing defences a lot of problems. Kenny Jackett has shown foresight and planning in choosing young players who are hungry and eager to impress. But with all three scheduled to return to their parent clubs in the new year can Millwall sustain their promotion push beyond January? Where can Millwall finish this season? It will of course depend on whether they are able to keep hold of any of them, and if they are unable to keep hold of them, will they be able to replace them? Millwall haven’t got the resources to compete financially with the league’s big spenders so it’s vitally important Jackett keeps making the best possible use of the loan market. This means selective borrowing and choosing players that will add an extra dimension to the team. Millwall have a functional team, full of hard-working, determined players. In Kenny Jackett they have a calm, composed and competent manager, who understands the league and knows how to get the best out of his squad. 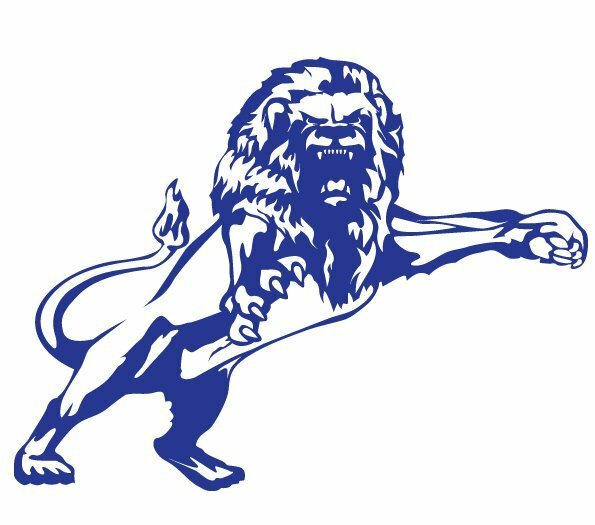 Millwall’s football isn’t pretty but it’s certainly effective and no team will look forward to travelling to the Den this season (although when has a team ever looked forward to playing at the Den?). Over the course of a season it’ll be difficult for Millwall to maintain their promotion push. The squad is still very small and with Wood, Beevers and Smith all leaving the Den for the second half of the season, will Millwall get the clean sheets or goals to keep up the push for a top 6 place. What Millwall need to do now is take advantage of their current run of form to make the club more appealing for prospective signings. Millwall has always been a very unfashionable club for many reasons, but if they enter January riding high in the league perhaps they’ll be able to attract a higher calibre of player. Where Millwall will finish this season depends a great deal on the business the club conducts in January. And who knows, with the right signings, Millwall may be able to compete for one of those prized play-off spots? This entry was posted in Football, The Championship and tagged Adam Smith, Championship, Chris Wood, Den, football, form, Kenny Jackett, loan, Mark Beevers, millwall, play-offs, transfer market, wolves on November 27, 2012 by gutollewelyn.